Fingers crossed you feel better soon. 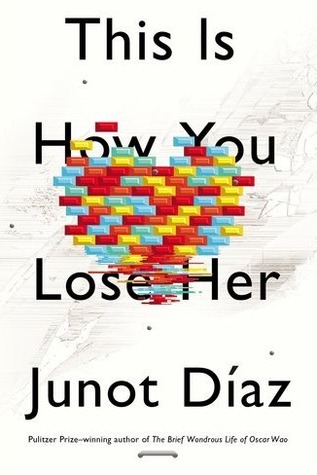 I'm looking forward to your Junoz Diaz review - I want to know what you mean! Thanks Li. Ahh that Junot Diaz book! Yes, I'm working on it, and trying to process my thoughts and feelings about it. I hope you feel better soon, Hilcia. Don't let all those tests get to you! Sending positive, healing thoughts! Hope you're feeling better soon! Hey Hils!! I hope everything is okay with you!! Let me know! And hope you get your energy and health back soon! Wow, 25 books, that's awesome!! Just too bad the 2nd half of the month was so-so grade-wise ^_^; I've been in a reading slump for the past two weeks. Hoping to get out of it. I wished authors would learn when they need to call it an end. I love series, but sometimes, it's good to end when you're ahead ^_^; Also, not crazy at the idea of Ms Cole making the jump into YA. Sigh. Well you know, you're behind on your reviews, but it could be worst. You're half-way through your reads for September. A couple of minis and voila, all caught up LOL. Nath, you know I haven't been myself for almost 2 months now. Just getting everything checked out. I need a reboot, that's all! LOL! It has been a while since I read that much (29 total with the re-reads). I went on a reading frenzy. I'm still reading like a nut. Anyway, the Cole books... sigh. She is still writing books set in the same timeline as past stories. Dreams of a Dark Warrior was set in the same time line as the previous two books and the same setting as the one right before it. The overall story arc is moving at a snails pace and after 12 books that doesn't make sense to me. Plus in Lothaire she introduces a whole new species of vampires! At this point? Really? There are enough species in this series that haven't even been explored yet. Anyway, yeah. I think I'll just re-read my favorite books of this series at this point. And, if Cole begins a new series I will give it a shot. I don't get why she would introduce a spin-off series ^_^; And it seems she is now down to one book a year for this series. When is she ever going to finish them? Glad I gave up. Yes, exactly! Those new vampires are now part of a spin-off series, and I think her new book is about them. Nath, you hit the nail on the head. When is this series going to get going? At this point, I doubt that the Ascencion is really going to happen at all. . . and personally, it has taken so long that I've interest.